The US Ambassador to Nigeria, Stuart Symington, along with musician, Innocent Idibia, popularly known as 2Baba have called on youths to be actively involved in the conduct of the 2019 elections. Beyond that, they asked the youths to shun vote buying during the elections and avoid selling their future to leaders who had false agendas for the nation. 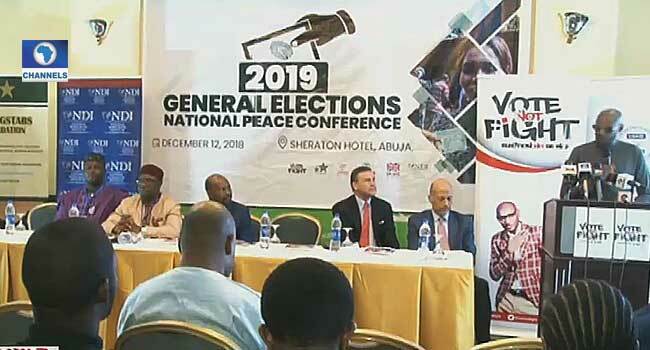 They made the call on Wednesday during a gathering of youth organizations at the 2019 General Elections National Peace Conference in Abuja. 2Baba said, “Before the elections, you must constructively participate in the electoral process.